What a night. This beautiful Church in the middle of Coleraine was filled with an audience ready for a concert and they got just that. From one artist to another they were treated to a wide variety of music to warm the heart. 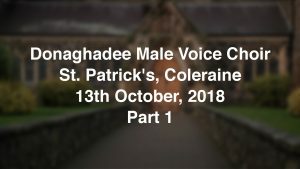 Donaghadee Male Voice Choir really enjoyed themselves as usual and especially sharing an alternative version of Psalm 150 with Counterpoint. We had special guests from Barnburgh Ladies Singers, Yorkshire, our very special friends, Julia, Elaine and Margaret supporting us – Great to see you ladies and we hope the weather improves. 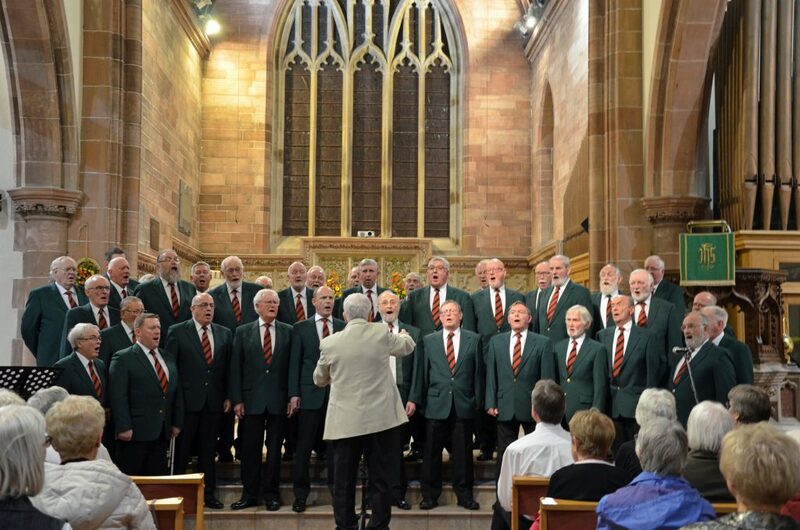 This is the link for our friends ‘Counterpoint’ in full flight. Many thanks from DMVC for having us as your guests.